On the morning of 8th July, 2012, a little after 9 AM, I visited a place downstream of the Himayat Sagar Reservoir, about 20 kms away from Hyderabad. On my way I heard the sound of a gun shot, followed by panic stricken cries of Spot-billed Ducks, Peafowl and other birds. 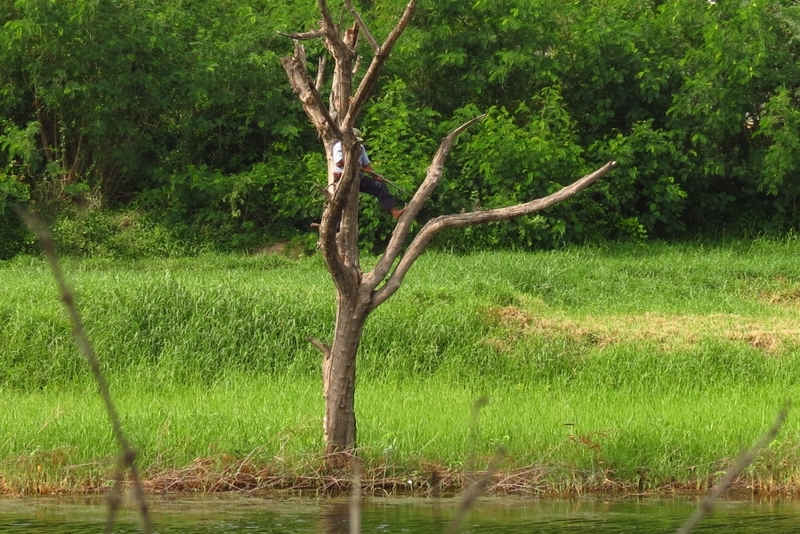 Upon reaching the spot, I saw two men, one of whom was perched on a bare tree with a rifle, while the other was resting on the opposite bank. I walked past the hunters who seemed to pay no attention to me (despite the fact that I was carrying binoculars and a camera). I tried to get pictures of them as I hurried on, unsure about my safety and that of my camera. While I didn’t stop to engage in conversation with them, I was of the opinion that they were hunting, most probably poaching, that too in what happens to be around the breeding season for most of the birds here. 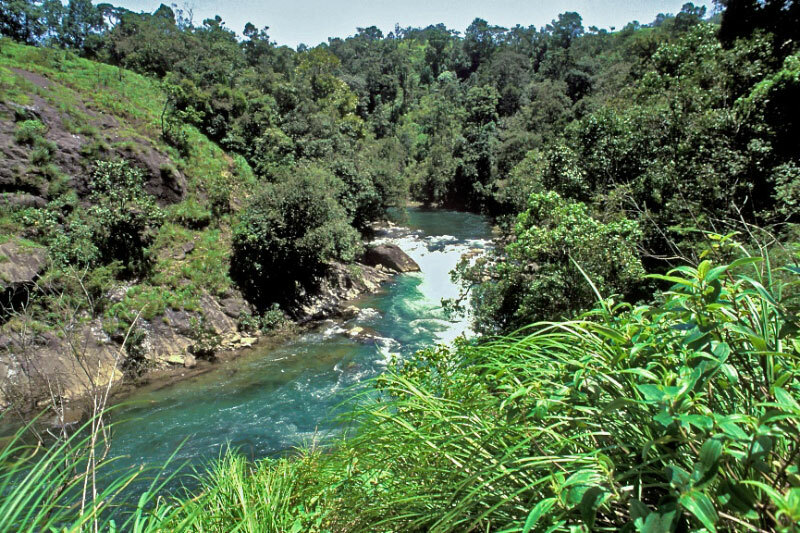 An email to the address of the Chief Wildlife Warden, specified on the AP Forest Department website, bounced. Calls made to the land line number mentioned on the website were not answered. Finally, the specified mobile number was switched off. I sent a complaint to the AP Biodiversity Board. I haven’t heard from them as of writing this post. I didn’t get a reply from the Deputy Conservator of Forests either. In addition to the above, I also contacted the Friends of Snakes Society and was able to get the number of the DFO, Anti-Poaching — Mr. Ramana Reddy. I spoke to him and he asked me to inform the Range Officer (RO), Mr. Tirumal Vallala. I reported the matter on 11th July 2012 to Mr. Vallala and he said he would look into it. I called him again on the 20th of July to see if he had any more information, but received a negative reply. He did say he would be sending someone to make inquiries. I offered to accompany whoever he delegates to visit the spot to make enquiries, but haven’t heard anything since then. I haven’t heard from any of the senior people either. I visited the area again in the following weeks. Kidwai Cottage, a guest house of the Agricultural University, is about 2 Km East of the spot. A security guard here said that he was aware of people coming here to hunt birds with guns, and gunshots are heard sporadically through the year. 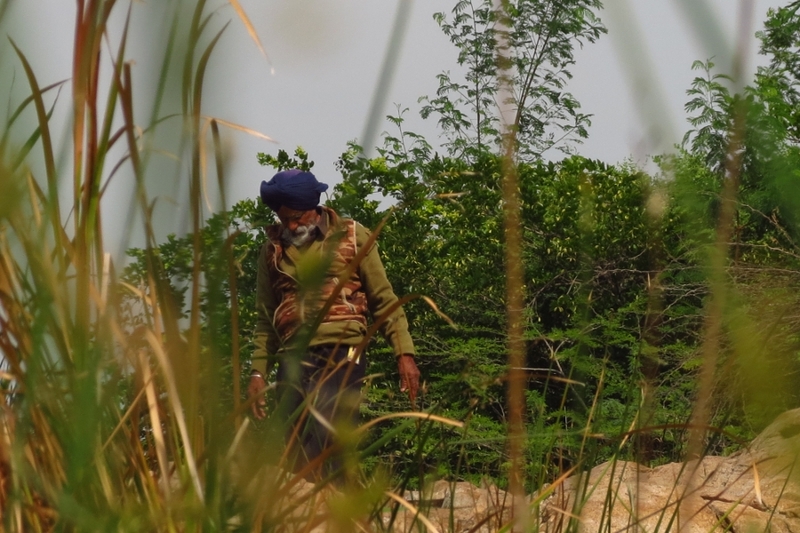 He was also aware that it was illegal to hunt – only fishing was allowed in the Himayat Sagar, upstream of site, and only upon obtaining permission. A training institute (WALAMTARI) is about 0.5 Km South of the site. 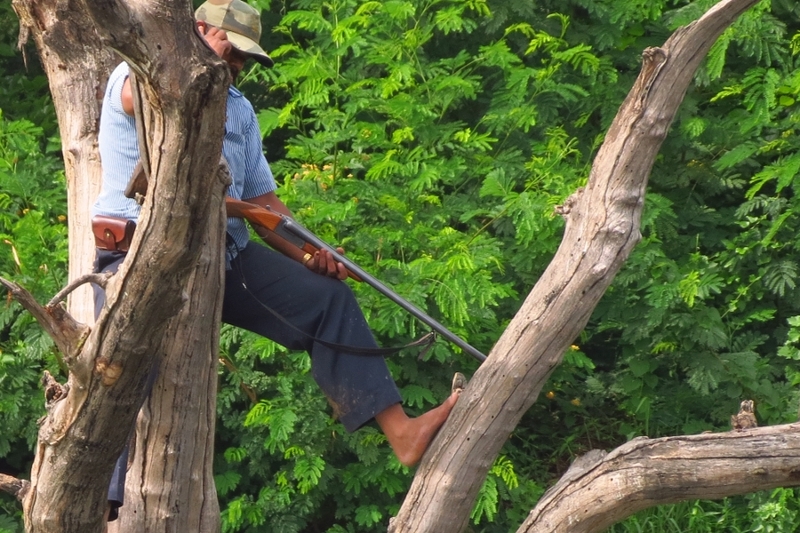 Guards here replied in the negative, when asked if they knew of any poaching going on at the northern edge of their campus. This is a really good breeding area for marsh birds, and that too very close to the suburbs of Hyderabad. We need to ensure that it stays this way. This area is not actively visited even by birdwatchers and thus, more people visiting maybe the best deterrent. Editor’s Notes: Also read, follow up action by the Andhra Pradesh Forest Department, triggered by this CI post. This water body usually has many Coots, Moorhens, Little Grebes, Purple Swamphens and, Pied, Common and White-breasted Kingfishers. There are also a small number of Cotton Teals, Spot-billed Ducks and Lesser Whistling Ducks. The grass along the edge has bitterns (Yellow, Black and Chestnut) and is also home to weavers (Streaked and Black-breasted). Many other birds are seen here as well. The location is a concrete bund, one side of which has water all year round. Peafowl are common on the surrounding banks, as are Brown Crakes, a family of which I saw for 3 consecutive weeks just downstream of the bund. In addition to birds, the marsh (and banks) downstream of this bund have the odd Feral Pig, Jungle Cat, Mongoose and Monitor lizard. The first hunter had a rifle and a cell phone. 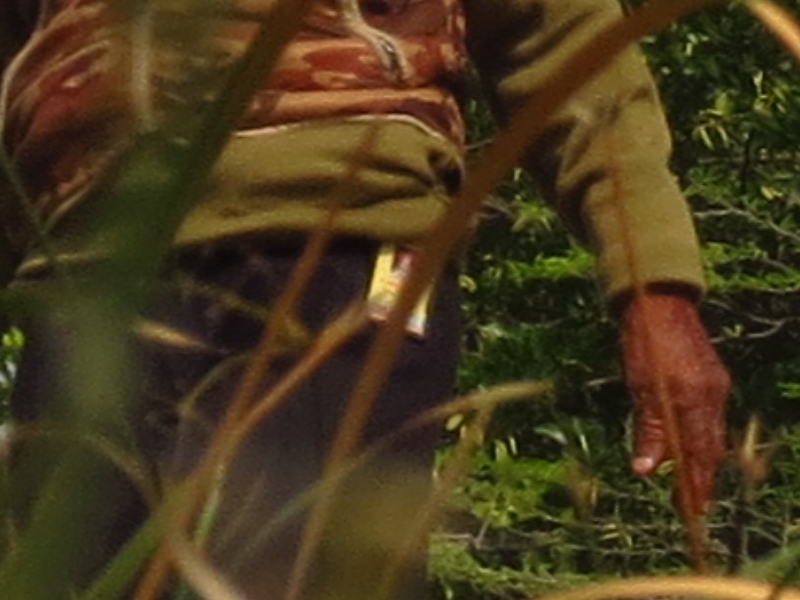 A local wildlife expert (Rajeev Matthew), who is also familiar with hunting and associated weaponry, was of the opinion that these are security guards (going by the uniform, rifle with strap, and ammo case). This is apparently standard equipment among private security agencies here. These guys probably aren't good hunters, given how exposed they are. But this being the breeding season, juvenile birds are easy targets. A close up shot of the first hunter. Even though he was obviously visible in his high perch, he did not seem to care about my presence. The camo cap is of a generic design and could have been obtained anywhere. The second hunter wore a camo jacket and a turban. His badge (at the waist) indicates that he is either on his way to work, or returning from it. The camo jacket indicates a clear intent to hunt. A close up of the ID card is not clear enough to allow identification of place of employment. Only a pale yellow background is visible. 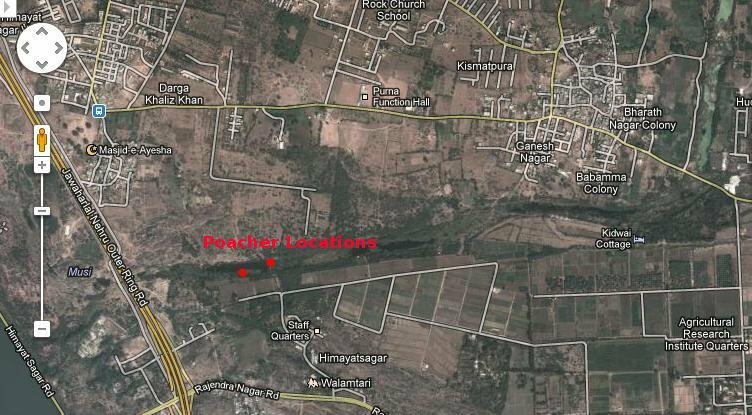 The location of the poachers and the adjoining areas are indicated on the map. Sathyanarayana Srinivasan is currently based in Hyderabad. 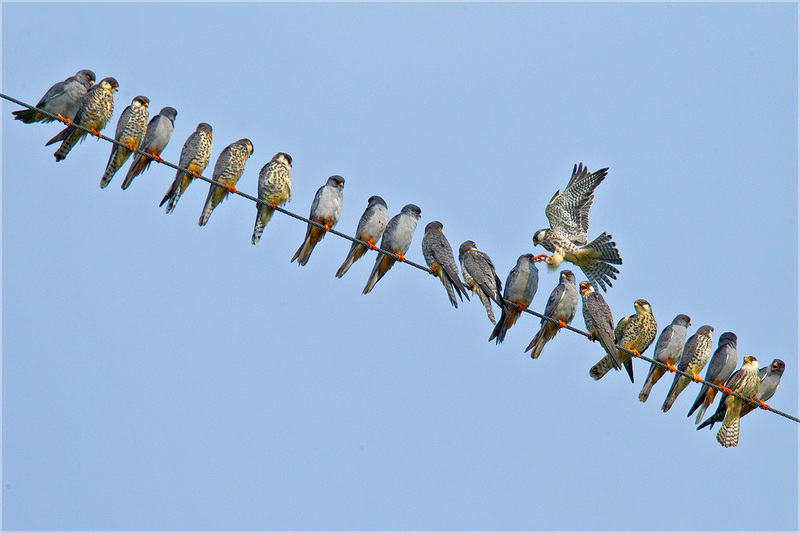 He watches and photographs birds locally, as well as around other areas in Andhra Pradesh. 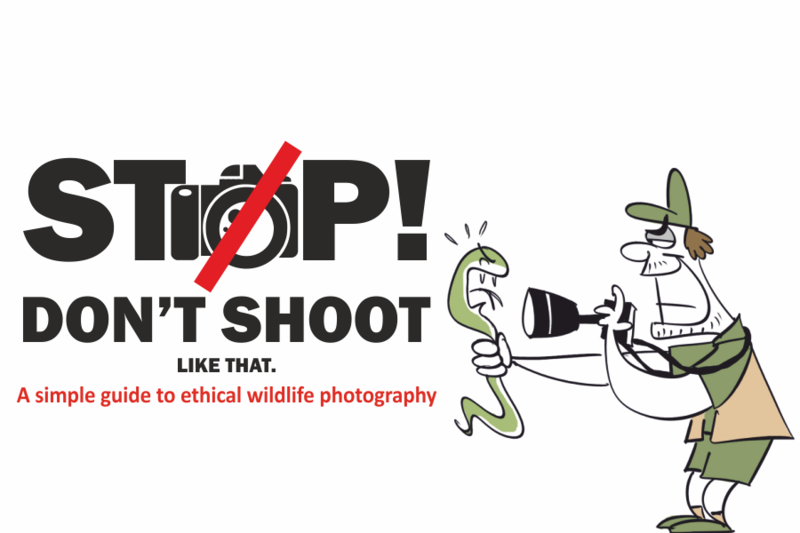 I am amazed by the reaction of the DFO, Anti-poaching! Should HE not be talking to the RO instead of passing the buck? This speaks volumes about his passion and his commitment to his job!